The study of harmonics is a fascinating aspect of musicology, full of all sorts of stuff about overtones, ascending integer series, and other things we’re going to skip over because they sound really complicated. However, one thing is for certain: You can use that knowledge to make really, really unpleasant sounds on a guitar. That’s just what Mattias Eklundh does in the following video. 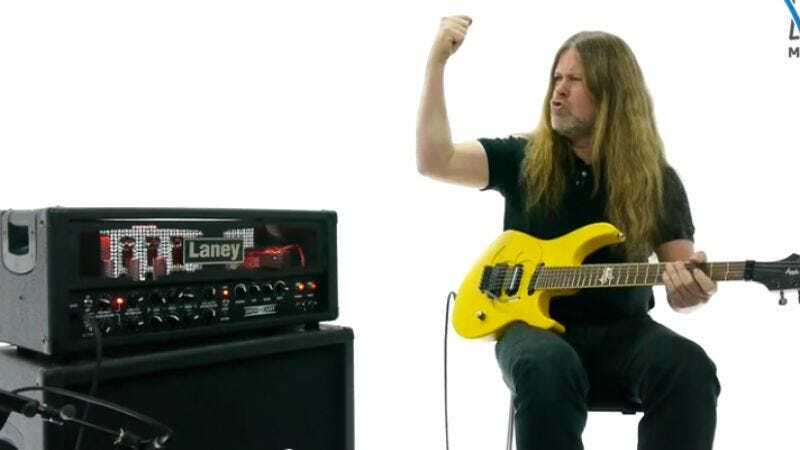 After explaining some basic facts about how harmonics work when playing the instrument, the Swedish guitar whiz proceeds to lay down some of the worst sounds you can achieve using harmonics—basically, dissonance in its purest form. This results in a variety of sounds not unlike what you’d imagine a spaceship from a 1950s sci-fi movie would make, if it ate some bad takeout and began vomiting profusely. They aren’t the worst sounds you’ve ever heard (a jackhammer outside your window at seven in the morning still wins that award), but they are deeply weird, and fascinating to watch in their simplicity. If you want to skip to the good stuff (bad stuff? ), Eklundh really starts cueing up the nightmare tones at around the halfway mark. Also, if you find Eklundh charming (and his little singsong apology for how his “hair has…a life of its ooooown” is pretty great), you can find more material here, including his albums, writings, and lessons.